After Circuit City cut its most expensive sales people in March 2007, the company lasted a mere 19 months and 13 days before filing for Chapter 11 bankruptcy and liquidating its remaining assets. This does not bode well for B&N. Yesterday Barnes & Noble shook the business world when they fired an unknown number of experienced employees. The initial report said B&N had fired "lead cashiers, digital leads, and other experienced workers", but what that report missed - and why this was worth bringing up a day later - was that B&N also fired nearly all of its receiving managers in what current and ex-employees are calling Bloody Monday. Barnes and Noble just fires almost every single receiving manager as a cost cutting measure. I worked with them for over 17 years and my weekly Storytimes are massively popular. And in the blink of an eye, I'm fired. When B&N fires a digital sales lead, it means they'll sell fewer Nooks. This is no big deal given how B&N's digital revenues have fallen since 2013. When B&N fires a head cashier, it means you're in for longer waits at the register. But when B&N fires its receiving managers, it means that B&N won't have the merchandise to sell you because the person who was responsible for making sure shelves get stocked does not work there any more. The guy who gets all the deliveries, unboxed them, sorts them, and like a million other things that keeps the store running. My manager would say that I was the most important person in the store, that without me there was no product. Ha! To put it another way, the receiving manager is the one person after the store manager most capable of going out and opening (or taking over) a bookstore. Barnes & Noble may boast that they are going to save $40 million annually, but that savings comes at the expense of the institutional knowledge required to run the store. Last month Barnes & Noble reported that revenues for the 2017 holiday season fell 6.4% compared to the same period a year ago, to $953 million. Online sales dropped 4.5%, while same-store sales fell 6.4%. That is how B&N performed when they had experienced managers running the show, but next year they won't have these managers - in fact, B&N is going to have trouble finding any experienced managers to fill these roles. We have a fairly healthy economy right now, and everyone from Walmart to Amazon is hiring. This means Barnes & Noble isn't going to be able to find the experienced people they need to turn the company around. Circuit City lasted 19 months after they fired their best sales people, but B&N won't last nearly that long. My over-under for B&N to announce bankruptcy proceedings is next January. It may not take as long as you think. B&N has not been competently managed for the past ten years, when they knelt to the publishers rather than grasping the digital nettle, as Amazon did. Be it noted: they acquired Fictionwise and then proceeded to ignore the wealth of “this is how you can sell eBooks and make money” information that company had. Instead, they treated their digital customers shabbily, made it damn near impossible to search a library, provided a PC app which was slow and clumsy, and made it darn near impossible to get ebooks except through a piece of trash called a Nook. B&N has well earned its fate. I get where you’re coming from, but I still think B&N will be done in by the next holiday season. By the end of summer when the students and their parents go to Amazon to buy their text books. I get the feeling that Kobo will buy Nook; rebrand the Samsung tablets as well the Barnes and noble apps and do a far better job of selling ebooks. I have a Nook account and haven’t bothered to look at it in the last 7 years. Even though I have some freebie books. I hope Kobo merges my accounts (Barnes and Kobo) and integrates Barnes vaster non-English ebook catalogue. I’d really can’t wait. I think B&N may well outlive your predicted demise. Amazon is laying off thousands of employees and only just turned profitable. B&N has some very serious problems and lacks a visionary leader to address them, but I think B&N will still be a going concern, albeit a smaller one, come the 2019, and possibly even the 2020, holiday season. You have been misinformed: Amazon, like most well-run companies, is downsizing and/or closing down underperforming businesses, totalling a few hundred employees. At the same time, they are looking to hire 12,500 non-warehouse employees across their expanding businesses. As documented repeatedly here and elsewhere, Amazon is an aggregation of many independent and semi-independent businesses, not a single company, like B&N. It is hardly a bad thing to see a unit pivoting away from a business that isn’t working–like Createspace publishing services–and towards others with better prospects. 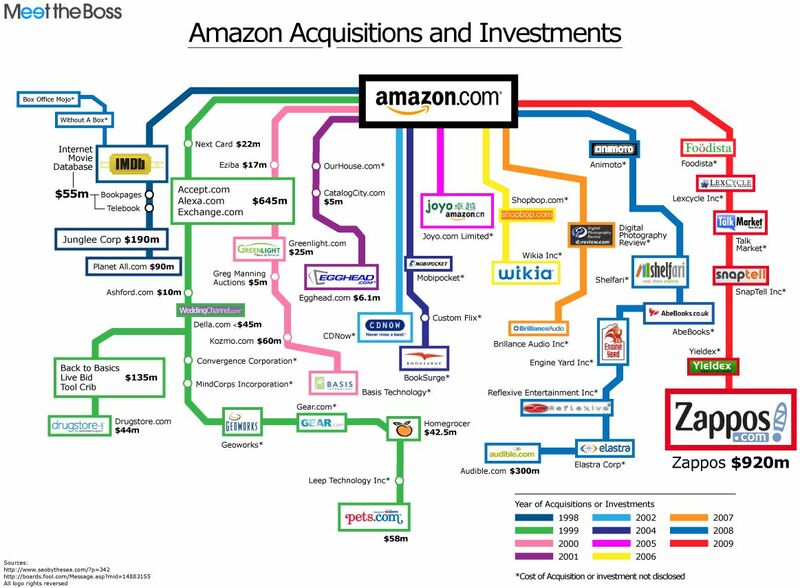 As for Amazon profitability, it has been documented unto death that Amazon does not report “profits” as long as it can find ways to invest ways to spend free cash growing their empire. The recent reports of quarterly profits over the past three years-plus are simply the result of one of their more successful business, AWS, throwing off more free cash than the rest of the empire knows what to do with. That will likely end now that Amazon is building a shipping business to free themselves from the costs of FedEx and UPS. Do not let Amazon FUD in the media confuse you. The empire is still strong, still expanding, and still eyeing new conquests on their way to becoming the Borg. Amazon derangement syndrome much, CNBC? As a member of the book-buying public (and the book-writing public, these days) I was unaware that Barnes & Noble owned me. Furthermore, I was unaware that Amazon stole me away from B&N in a nefarious late-night raid of B&N’s customer corral. Amazon’s mental reprogramming team must be truly top-notch since I could have sworn Amazon attracted my business rather than stole it. Ack. I obviously screwed up my html bold command. My apologies. I used to be a steady B&N customer. That pretty much changed when seven or eight years ago, I asked if they had a book in stock. They didn’t have it, but could order it and have it for me in a week. Of course, I went home and ordered it from Amazon and had it on my doorstep in three days. I knew then that the days were numbered for B&N. Until a few months ago, I did go into the stores about once every two months to buy two magazines. I now subscribe and haven’t been in a store in months. The problem is that many people won’t drive 30 mins to get to a bookstore by itself anymore. They need to be near destination locations such as next to cinemas or metro stops. If you’re not there, where people can casually walk in, you’re not going to make much money. B&N, because of the tightening their landlords are putting on them, isn’t going to be in those locations. So I suspect you’re right B&N will be in chapter 11 by January (which would be a good time to do it as they will owe the publishers a lot of money due to the holiday period then). What makes Monday’s news worse is that a lot of the people fired on Bloody Monday hosted events that made B&n a destination. Now they’re gone, and the sales will follow. While Amazon is continuing to take customers, mom-and-pop bookstores are also doing that. The local stores have readings and similar events to keep customers coming back and B&N doesn’t do that much anymore. I will guess a year for now with be the closure, so in Feb 2019. B&N’s stock price — BKS — reached (yet another) all-time low today. Beyond the obvious problem with this, there’s the whole booming economy thing that Trump (still) hasn’t killed off. At some point in the (near) future, he will and a long-overdue recession will replace it. If B&N can only just barely survive during a booming economy what, do you suppose, will happen when that inevitable recession hits? AMZN, btw, appears to be reaching a new all-time closing high today. For the snarky one who was comparing B&N and Amazon layoffs above, that’s kinda the difference. Their suppliers, i.e. publishers, may be the tipping point here. When they declare bankruptcy, publishers are instantly out one or two quarters of payments. Borders waited until the last moment (December 30th, iirc) in order to avoid paying for the third quarter’s books as well as the fourth quarter’s books. Basically they screwed publishers out of 6 months of income. I’d be surprised if B&N gets that kind of chance this time around. Oh, the publishers will want to work with B&N. Remember, book publishers ultimately killed Borders when they decided not to renegotiate its debt. They thought buyers would just go to other brick and mortar retailers, and instead everyone buys from Amazon now. Publishers aren’t going to make that mistake twice.